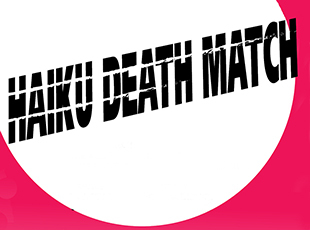 Heights Arts, the sponsor of the annual Haiku Death Match, seeks Samurai poets to compete in the 2017 Haiku Death Match on Saturday, April 8 at 7 pm at Dobama Theater. Only eight (8) poets will compete – so each poet gets to read more poems. 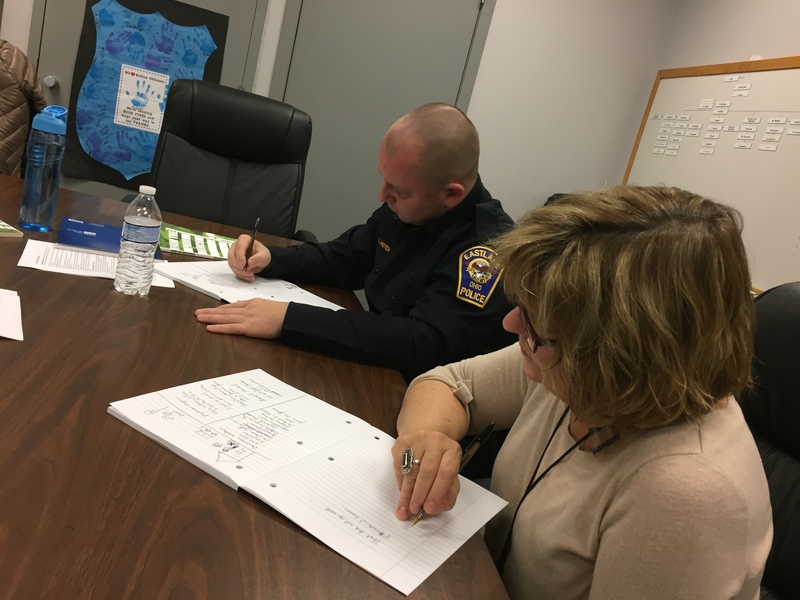 No eliminations until the end of the first half, which will consist of five rounds on specific subjects: Personal Relationships, Politics, Animals in our Life, The Daily Grind, All Things Cleveland. Poets accumulate points during these rounds, and competitors with the most points advance to the second half of the Match, in which all the Haiku will be classic nature Haiku. Winner of the classic round is the Haiku Death Match Master. If you wish to compete, and can firmly commit to the date (April 8), contact Heights Arts: heightswrites@heightsarts.org ASAP. We will be accepting contestants on a first-come-first-serve basis. Once chosen, the eight contestants will attend a meeting to review the rules of the competition and the structure of the event. The Haiku Death Match raises funds that help support the literary events sponsored by Heights Arts, including the Poet Laureate program and the EKPHRASTACY readings. Tickets for the Death Match go on sale February 20. They are $15, and $10 for Heights Arts members, $15 for the general public. Each competitor receives free tickets for two guests. The first of two semi finals is here! 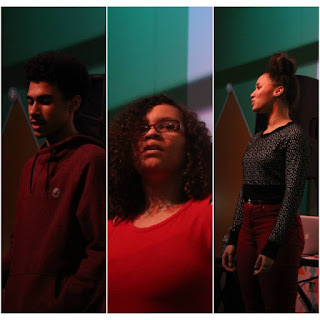 This will being the process of creating the International Youth Slam Poetry team for represent Cleveland, OH via One Mic Open for the third year running! If you'd like to register, please message One Mic Open via Facebook or the contact page on www.onemicopen.com or sign up at the event. Event will start promptly at 8:30 with the open mic (5 min max on the mic), followed by the slam (rules below). Do NOT try to be fashionably late! Slamming and place among the top percentage of poets will grant you a slot in finals. If you don't qualify at this semi final event, no worries! Your time starts with your first word, or when you engage the audience. You will be scored by 5 judges (0-10) the low and high will be dropped, with the remaining 3 added together.